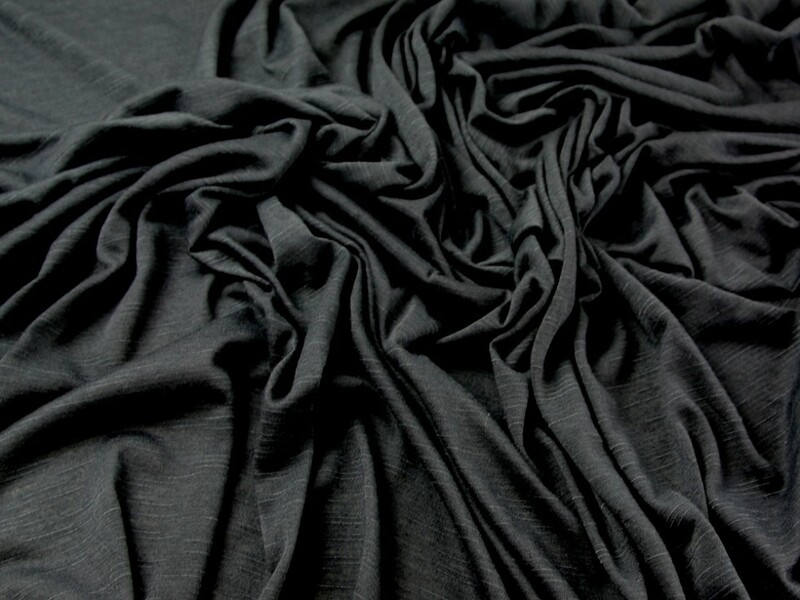 This lovely dressmaking fabric is a soft and drapey jersey knit made from a blend of viscose and elastane fibres. It is light in weight and has a subtle slub texture that is ever so pretty and adds interest to an otherwise plain fabric. It would be ideal for making tops, skirts and dresses. As part of our clearance range this fabric is fantastic value for money as we are able to bring it to you at a much cheaper price than the RRP, but only whilst limited stocks last! Please note, each colour in this range of jersey fabric varies slightly in weight, feel and finish. The widths may also vary, the width stated is the average width taken from all stock. Please order samples if you are unsure.